How do the instrumentals fit into the album concept? They help to reinforce the mood. Shore Jam starts out with the upbeat inflection of “1841” and works its way down to the solemn seventh song, “Nothing at All.” The first two instrumentals are sandwiched within that slippery slope. The third and final instrumental, “The Hunter,” pulls you up and out of the basement and then “Blue Sky Rider” and finally “Blindness” continue pulling the listener back up to the top. You don’t hear instrumentals much on current pop or rock music albums. Did you think you were going out on a limb by including three tracks on both of your CDs? What has the response been? I wasn’t sure what the general reaction would be. I actually thought the instrumentals would add a nice dimension to the records. They’re good vehicles for improvisations. I’m pleasantly surprised by the positive feedback I’ve received for these pieces. People like them and easily explain why they like their favorite ones. It sounds like the last two songs on Shore Jam are louder than the rest of the album. Was that done on purpose? Yes, but it was meant to be subtle. There is only a decibel or two difference from the rest of the record. Overall, the entire record is softer than a typical “radio” CD. I wanted more dynamic expression. In order to include this I had to back off on loudness and compression. How do you plan on marketing these albums? I have three main routes in process. Some songs were written with the radio market in mind. So, those songs get the traditional approach – you know, you create a local and regional buzz and pressurize it to go national. The instrumentals are geared to the TV and film markets. With these, you reach out to music directors and supervisors of the project that fits the music. Some songs will be available for licensing so that a band or artist can record their version of the tune. Contacting the music publishers is another route that can be explored. 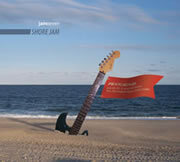 I love the artwork for Shore Jam. How do you go about getting professional artwork for your CDs? The band or songwriter has to determine if they have an artistic ability for that project or if they need to hire a professional artist who is skilled at creating album covers. I’m not a graphic artist, but I knew what I wanted for Shore Jam. My nephew Tony [Beninate], who has an excellent eye for this stuff, was available for the project. I simply gave him the instructions and a fair amount of wiggle room. He did a great job. On the other hand, if you don’t know what you want for your album or don’t have an artistic flair, you should hire a cover artist and leave all of the big decisions to that person. I recently spoke with Jeff Jordan who had done album covers for Grammy Award winners, The Mars Volta. He’s very passionate about his work, doesn’t need a lot of interference, and likes to take full responsibly for the job. The shots of the Jersey Shore are breathtaking. I’m sure you have a favorite shore spot. Tell us where the photo of you that’s on the inside of the jacket was taken. I enjoy all of the Jersey Shore spots. Each one has its own personality and many like Atlantic City and Cape May are unique. The photo you mentioned was taken from the Marquis de Lafayette Hotel in Cape May, NJ. I was sitting on the balcony railing overlooking the ocean. Cape May is a historic Victorian town and is just a short drive from the hustle and bustle of Wildwood, one of many active boardwalk cities on the Jersey Shore. 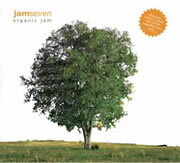 Tom Beninate, the hidden treasure behind Jam Seven, released his first album, Organic Jam, in 2011. It has been followed by his most current album, Shore Jam. 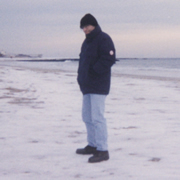 Tom wrote, arranged, and performed all 20 songs which include three instrumentals on each album. There is sure to be something between these tasty spreads to satisfy everyone’s musical taste buds. He has combined his passion for rock, pop, jazz, and classical music into two fabulous debut albums. I asked Tom, “What’s the secret to a good song?” His response was a quote from George Martin, the producer for the Beatles: “You need to write a bloody good song!” Well, Tom has done just that. In fact, he wrote 20 of them. Those are some great ideas. How does creativity help an artist become successful? An artist can use creativity to differentiate him or herself from the rest of the crowd. As an artist’s songwriting skills progress and as he learns what material gets a favorable reaction, he can then tailor that unique sound. Then, by releasing additional fresh and creative material, the audience will grow and buy more records. What can an artist do to stand out from the crowd? Again, an artist should always strive to write better songs. Unfortunately, today there is a huge emphasis on entertainment at the expense of good music. A good exercise is to break a great song down into components. Analyze the song structure: hook, verse, chorus, and bridge. Make sure your song has strong components. Make sure that your song is unique. Be sure to showcase that uniqueness and your other strengths. The Beatles’ strengths were their songwriting and of course their arranging – courtesy of George Martin. Their uniqueness was in their approach to songwriting. They generally did not sound like or copy any other band. But many bands do sound like them. What projects can we look forward to seeing from you in the future? I’m working on my next record entitled City Jam. I have a dozen songs already written and would like to write two dozen more. From that batch I’ll select seven songs and three instrumentals. Artist Michelle Emmons recently completed a water color sketch of the New York City skyline for the front cover. I’ll be ramping up this project by the end of the year. As with my other albums, I will continue to post updates at jamseven.com. Tom, thanks for sharing your experiences with me. I wish you lots of success. So Tom, how do you go about writing a "bloody good song”? Well, that is the Holy Grail of the music business. There are common characteristics to great songs. Great songs move people. People connect with them. The first time you hear one you can recognize it as something special. You want to instantly hear it again. Most of us usually turn up the volume. Structurally great songs have outstanding components such as an engaging hook, a beautiful melody, an infectious rhythm or in your heart lyrics. The big Led Zeppelin songs have great hooks. Many Beatles songs have wonderful melodies. The top Rolling Stones songs have devastatingly impulsive rhythms. Many number one hit songs have lyrics that you can immediately relate to. Finally, all great songs pass the test of time. People continue to listen to them years after they were written. The music on Shore Jam spans several genres. What type of audiences are you trying to reach? Overall my target audiences are the rock and pop music markets. The seven songs with vocals clearly fit there. As for the three instrumentals, “The Thinker” sinks a bit into heavy metal, “A Tribute to Fellini” has a slight classical influence, and “The Hunter” has a jazz edge to it. Interestingly, I thought that those same genres were covered on my last record, Organic Jam, but Dan MacIntosh from Spin magazine commented in his review that there are also some blues influences going on. Your guitar and keyboard playing speaks for itself. Which instrument did you play first when growing up? Actually it was the clarinet. I had lessons in grade school which included reading music. From that point on I played bass clarinet, bassoon, baritone sax, and trombone. I played trombone with the NJ Symphony Orchestra. In my early teens I taught myself how to play the guitar and piano. I soon discovered that I enjoyed these two instruments more than the rest – especially the guitar. What other formal music education have you had? I had four years of music theory. This proved to be invaluable for writing and arranging songs. Playing in the structured environment of concert, stage, and marching bands was beneficial as well as playing in unstructured garage band gigs. You know you wanted to be in music early on and you got some good experience. But then you went into the business world, you designed a successful product, and you built a technology and consulting company. How do these experiences help you in the music industry? I went into the business world after reading all those horror stories about famous artists being ripped off and manipulated by unscrupulous record label executives, managers, and lawyers. I wanted to understand how business worked. I wanted to feel empowered if I had the opportunity to sign a recording contract. I designed the product you mentioned for a packaging company I was working for. 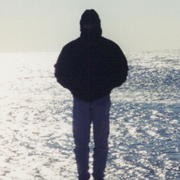 I saw how the sales and marketing effort for it began and continued over time. That effort brought in millions of dollars in sales for that company. Independent songwriters and bands actually have to go through a similar process. If there is no effective sales and marketing effort your song or CD will simply stay on your desk. How have artists’ responsibilities changed over time? Traditionally, artists left sales and marketing in the hands of record label executives. Today, many artists understand that they must advocate on their own behalf. They also realize that in order to make a living in the music industry they need to learn and use business tools. Many artists, including me, believe that we understand the human condition and have a responsibility through our music to make the world a better place to live. What tips can you offer a musician that’s just starting out? Listen to as many types of music as you can. If you’ve never listened to jazz, rap, or classical music, for example, then you’re really missing out on some great stuff. Although there is a learning curve and it takes time to discover a new genre, the reward is lifelong. Analyze the music you’re listening to. Try to understand the technical difference between a great song and a dud packed on someone’s CD. While you are at it, see if you can determine why a song you don’t like made it to number one on the radio. Write music and then record it, even if it’s done on a $20 mp3 player. Over time you can see how your music progresses and you can compare it to what is on the radio. Learn more about music. Get lessons or become part of an online community where lessons are available. In a recent conversation with Grammy Award winner Howard Levy, we spoke about his online school and how learning has become much easier for students today. Of course the traditional student/teacher relationship is still viable. At his school students additionally can connect with other students who are learning similar lessons and benefit from that synergy. If you are not yet making a living in music, then spend time building a portfolio of songs. Write a song every month or so. In just a few years you will accumulate a substantial amount of material that can be used when the right opportunity arises. Did you also play drums on both albums? I actually programmed drum samples into ProTools' MIDI sequencer. Each drum hit had to be placed and adjusted for timing and velocity. The drum rolls and detailed sections had to be adjusted several times in order for it to sound believable. Overall, thousands of drum hits had to be manipulated. Wow! That sounds tedious. Why didn’t you simply play real drums? I’m not good enough to do that. Wouldn’t it have been easier to hire a professional drummer? Yes! It would have been much easier! However, I wanted to make a technical statement. I attempted to set a standard as to what could be achieved this way. Clearly, computer software isn’t sophisticated enough to compete with a professional drummer, but it can get close. Actually it sounds great. Who would be your dream drummer on a future album? I don’t know. But I can tell you who I find to be influential. For rock, there is no comparison to John Bonham of Led Zeppelin whose timing is precise and rock-solid. He plays hard and reinforces those big Jimmy Page riffs. You get a great demonstration of this on “Black Dog.” For pop music, I enjoy Ringo Starr’s ability to distill the essence of a song and lay down a complimentary, unique, and effective part. He’s not as technically proficient as some of the top studio drummers, but he is extremely creative. I find the Jimmy Cobb sound to be interesting. His contribution to Miles Davis’s Kind of Blue record speaks for itself. He’s not the top jazz drummer of all time but I like his interpretation of things. I also like Jai Johanny Johanson’s work, especially his contributions to the first two Allman Brothers’ records. Although he and Butch Trucks were responsible for that sound, the Jai(moe) influence is incredible. Do you plan on having other musicians on your future CDs? Yes. I’ll gradually introduce a few players here and there. But the main focus for these Jam Seven albums is songwriting and arranging. That’s why I’ve played all of the parts myself. Who influenced your music style? Growing up, there were a lot of influences. By listening to top 40 hit radio and FM album music I got introduced to bands like The Beatles, Allman Brothers, Led Zeppelin, and Pink Floyd, for starters. I got a big taste of classical music when playing in concert bands and orchestras. I like the romantic composers the best – Wagner, Tchaikovsky, Strauss, and others. Playing in stage bands I got acquainted with various forms of jazz. I then discovered artists like Miles Davis, Dave Brubeck, Charlie Parker, and a number of other influential artists. From this foundation I searched for and found all kinds of stuff from the electronic music of Kraftwerk and Tangerine Dream to the beginnings of rap with Grand Master Flash, Kurtis Blow, and a host of great talent out of New York City.